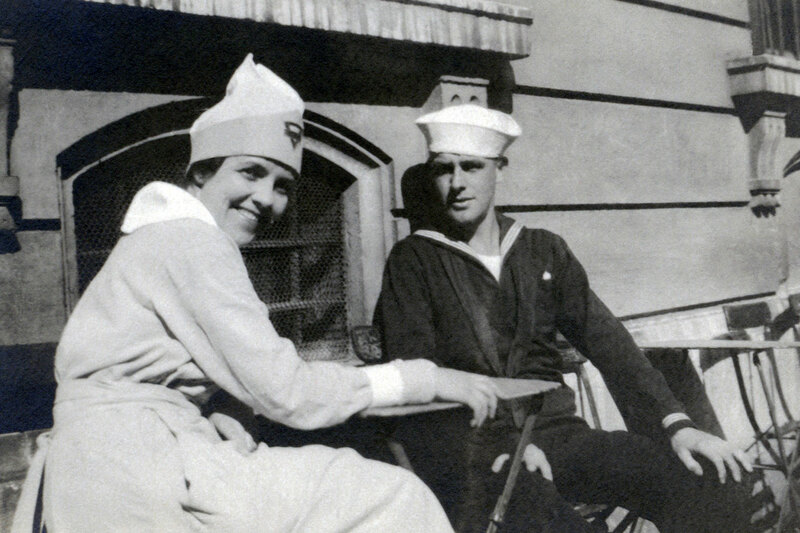 Stationed at a U.S. Army hospital in France in 1918, nurse Lulu Wolfe looked after World War I soldiers suffering from shrapnel wounds and gas poisoning. 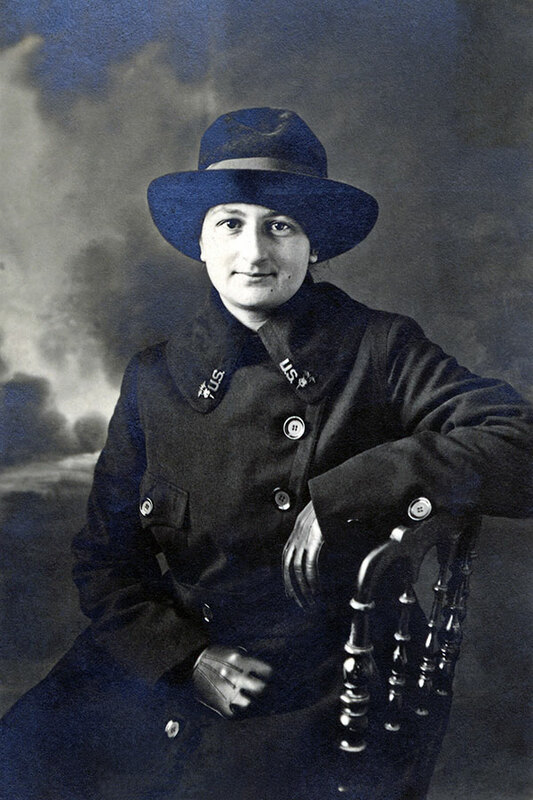 Ethel Ash volunteered with the YMCA in Verdun and Paris, France in 1919 making donuts for American troops and operating a mobile canteen. 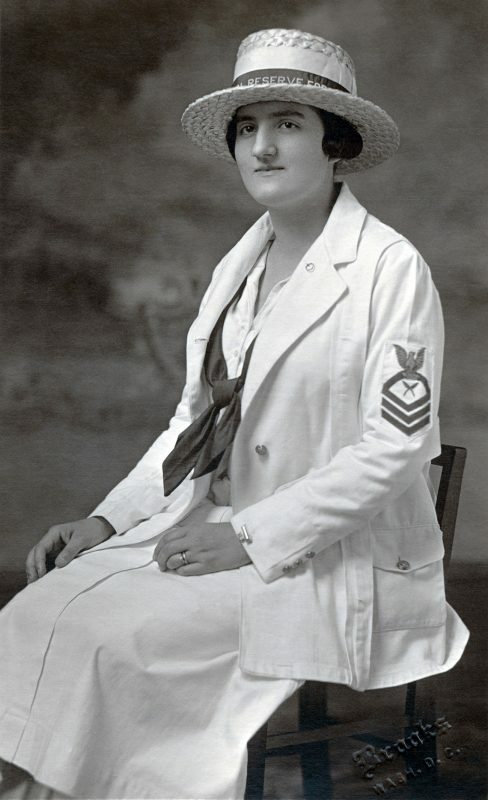 Ruth (Woodworth) Creveling, age 18, joined the U.S. Navy and put her typing and stenography skills to work stateside from 1917-1920. Greta Wolf served as a nurse in Mesves, France. The WWI experiences of these four women are profiled in a new National Postal Museum exhibit “In Her Words: Women’s Duty and Service in World War I,” using letters and other archived items borrowed from the collections of the Women In Military Service For America Memorial Foundation, in Arlington, Va. The women served in and alongside the American military during this European conflict that lasted more than four years. In a ward with 112 American soldiers from “all over,” Wolf confides a “real sister’s love” for the “boys…. every one tells his little tale and how they appreciate what we do for them.” Wolf lamented that few of the soldiers got any mail—their letters were sent to their company and stayed there. There is a wealth of material. During WWI “the Army had well over 21,000 nurses, and the Army and Navy had numerous civilian organizations such as the YMCA provide their soldiers and sailors welfare and morale service overseas,” Heidelbaugh says. Also, the Navy and Army had civilian women in positions overseas working as “Hello Girls,” telephone switchboard operators who spoke both English and French. Because it was the first time women were permitted to serve in the military, according to regulations they could not “fraternize” with non-commissioned officers and enlisted personnel. For Greta Wolfe, whose patients were non-commissioned officers and enlisted personnel, it did them great good for her to talk with them, she wrote. In many of her letters, Wolfe addresses dealing with male colleagues and interacting with male patients. 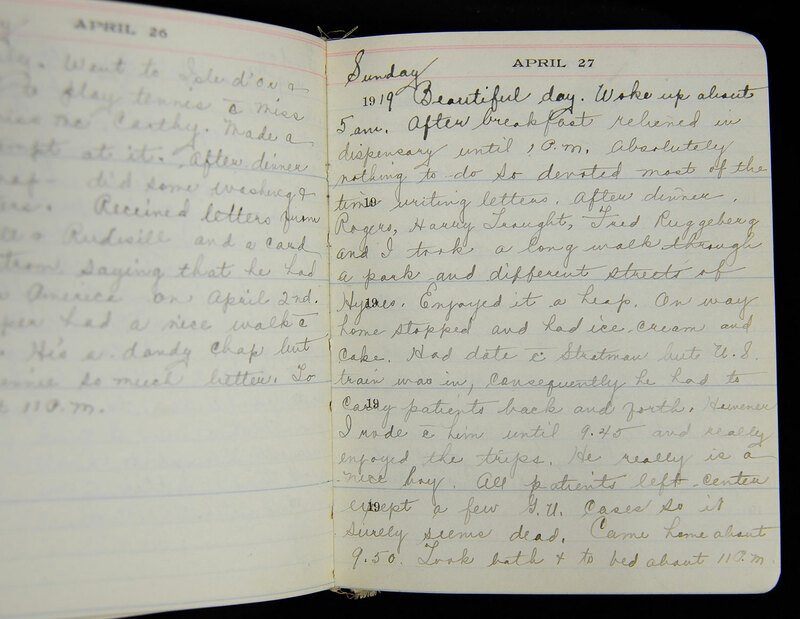 Part of patient care included entertainment and social activities, and Wolfe’s records also reflect the psychological value of camaraderie. Many of the letters Heidelbaugh reviewed contained thoughts on serving the United States and personal motivations, she says, such as being able to earn money consistently and gaining new skills. “Letter writing gives people an outlet to talk about their personal motivations,” Heidelbaugh observes. The individuality and personalities of the writers come through in the exhibit despite the fact they were limited in what they could say: letters written by Americans serving overseas were censored. 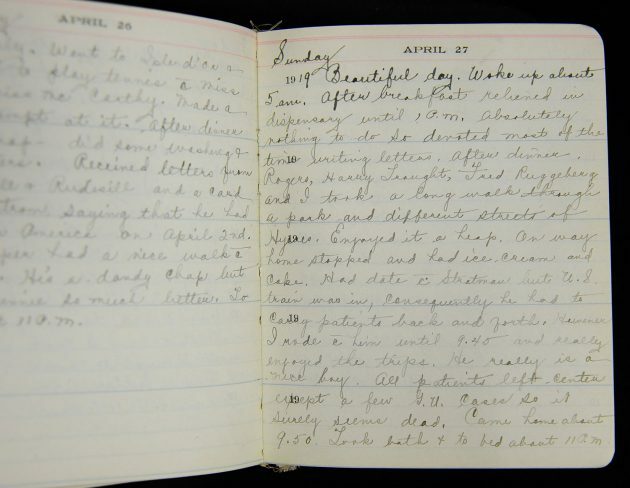 Identity cards, uniforms, diaries, notebooks, photographs and other objects in this small exhibit reveal the hard work and sacrifices these women made. Their treatment during and after WWI raised significant questions and helped set new precedents for women’s employment opportunities and political rights. 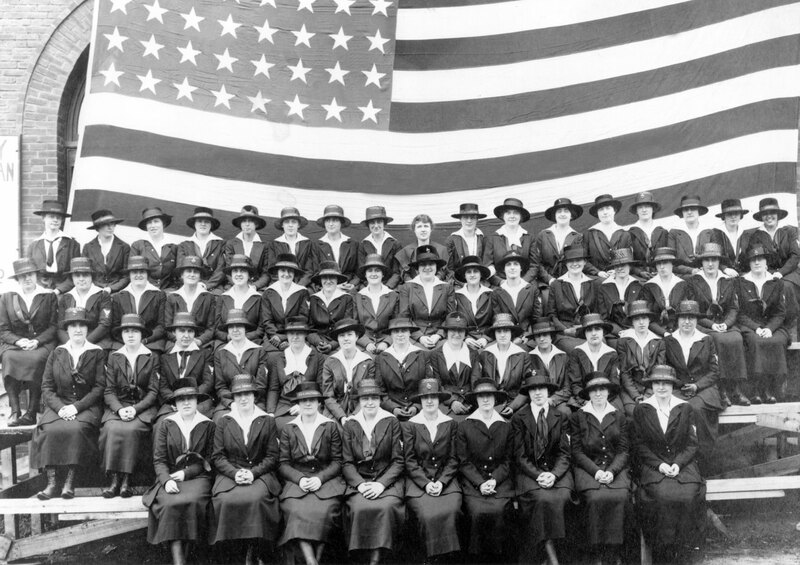 “In Her Words: Women’s Duty and Service in World War I” is on view at the National Postal Museum through May 2018.